You can also read this guide in Français / Italiano / 日本語 / Español. If you own any of the Apples’s products like Mac, iPhone, iPod, iPad, or iPod Touch, you would be familiar with iCloud and what it is used for. But, there may be a time when you need to delete your contact from iCloud. 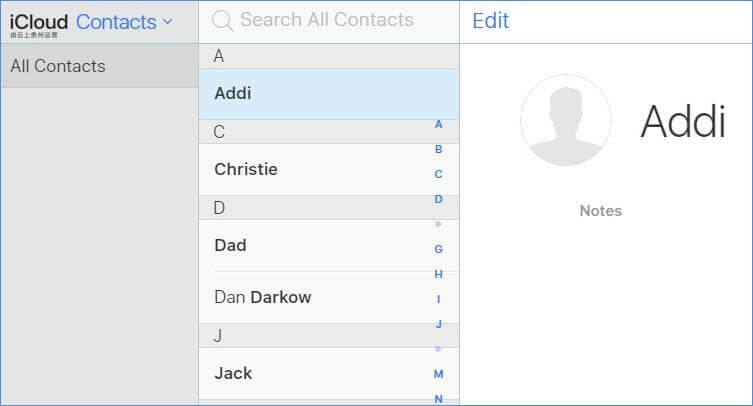 For some newbies and even regular users, it can be confusing to delete contacts from iCloud. 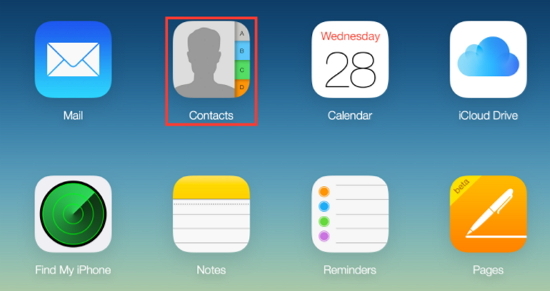 In this piece, we will look at how to delete contacts from iCloud effectively and safely. 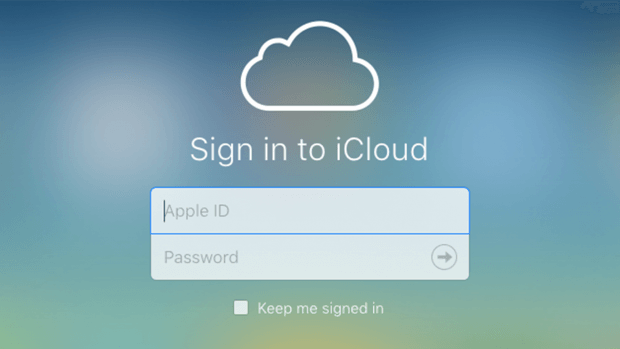 Part 1: How to Delete Contacts from iCloud? 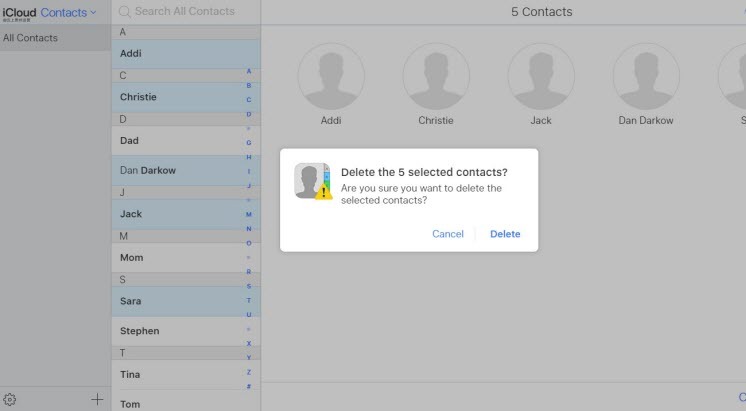 How to Delete Contacts from iCloud? Step 1. Visit https://www.icloud.com/. And login with your Apple ID and password. Step 2. After logging in, click on Contacts. Step 3. You will see all the contacts stored in iCloud. Select the contact you wish to delete and click on Edit. Step 4. Press the Delete key.A dialog box will appear, click Delete. Step 1. Just as the above method, first you need to visit www.icloud.com and open Contacts. Step 2. Hold down the Ctrl key and click the first contact you want to delete. Select as much as you want to delete. Step 3. Release the Ctrl key while your selected contacts will remain selected. Then press the Delete key. A dialog box will appear, click Delete and confirm the deletion. When you follow the above steps to remove contacts, the contact will subsequently be deleted from every device that has the iCloud contacts feature turned on. For instance, if you have iCloud on your iPhone and Mac and the contact is turned on, then when you delete a contact from iCloud, the contact will also be deleted from your iPhone and Mac. The contact is some kind of personal data, you may want to erase permanently some private contacts from your iPhone, to make is unrecoverable so that no one else can restore your personal contacts. For this, only delete contacts from iCloud will not be enough. If you are seeking the best way to erase contacts from iCloud permanently, then you have got to look at what iMyFone Umate Pro or iMyFone Umate Pro for Mac can do. 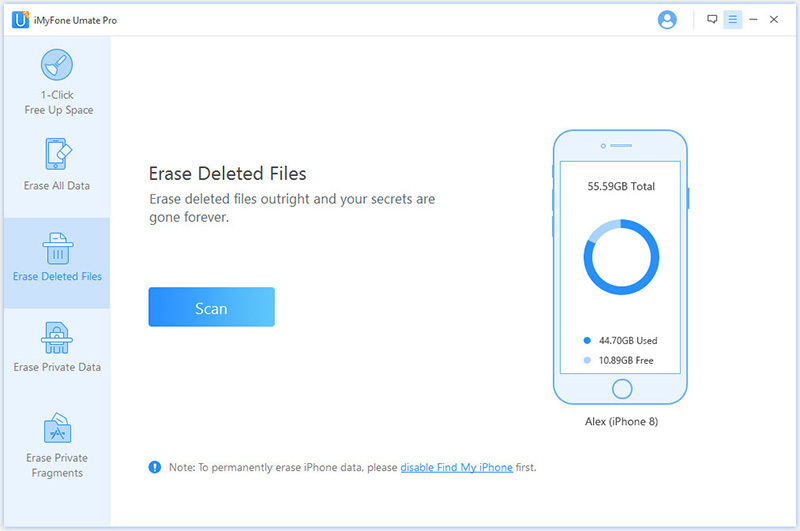 Umate Pro can permanently erase all or a single iPhone contact from your iCloud, even your previously deleted contacts can be detected and erased. It is a powerful tool that you can use on all iOS devices. Let’s look at what Umate Pro can do for you. iMyFone is highly spoken of by hundreds of users and well-known media. Erase Private Data: This option is good to delete a particular contact permanently. You cannot recover it thereafter even with the most modern recovery tool. 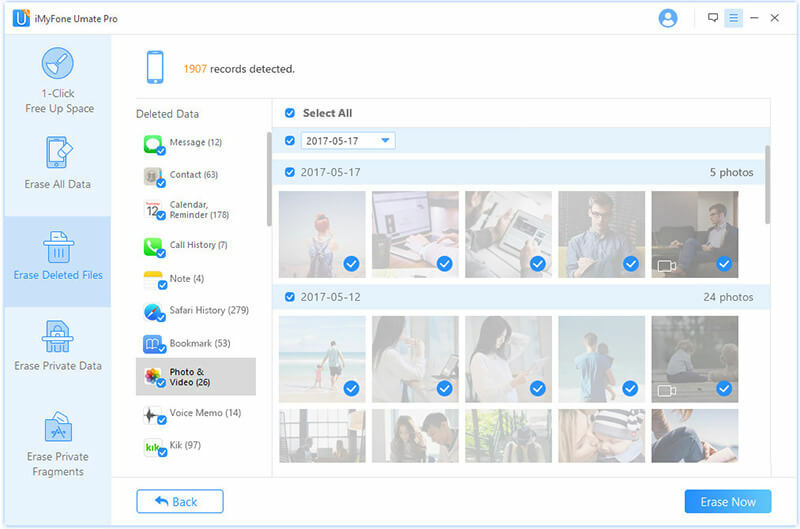 Erase Deleted Files: This is the option that is used to your previously deleted contacts permanently for privacy protection. The program will found your deleted files on your iOS device, then you can preview and erased them to make it gone forever. Step 1:Install iMyFone to your PC or laptop computer, then connect your iPhone/iPad/iPod Touch to the PC with a cable. 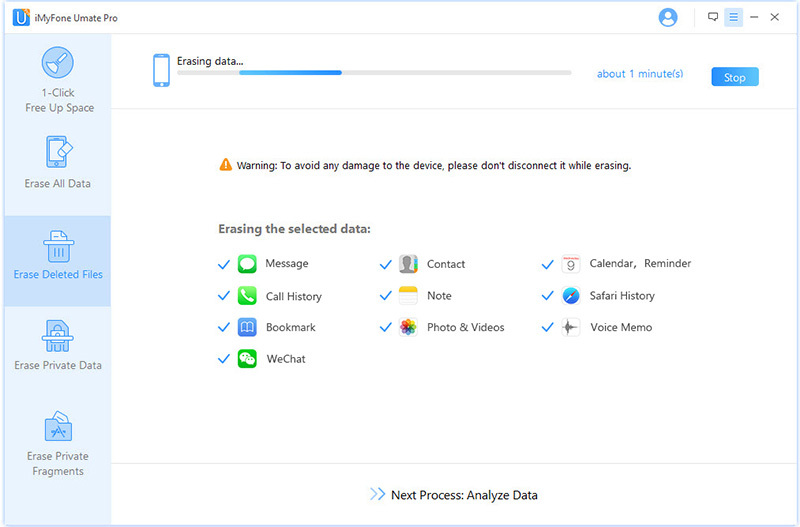 Step 2:Choose the right erase mode and scan your device. Step 3:When the scan analysis comes on, select the contact to be deleted. And click on the “Erase Now”. Step 4:Input 'Delete' when prompted. Confirm deletion when asked. And the contacts will be permanently erased. As you can see, Umate Pro is a powerful tool that can help solve the problem of erasing iPhone contacts. Umate Pro prevents iCloud from adding the deleted unwanted contacts and this shows just why you should have Umate Pro. 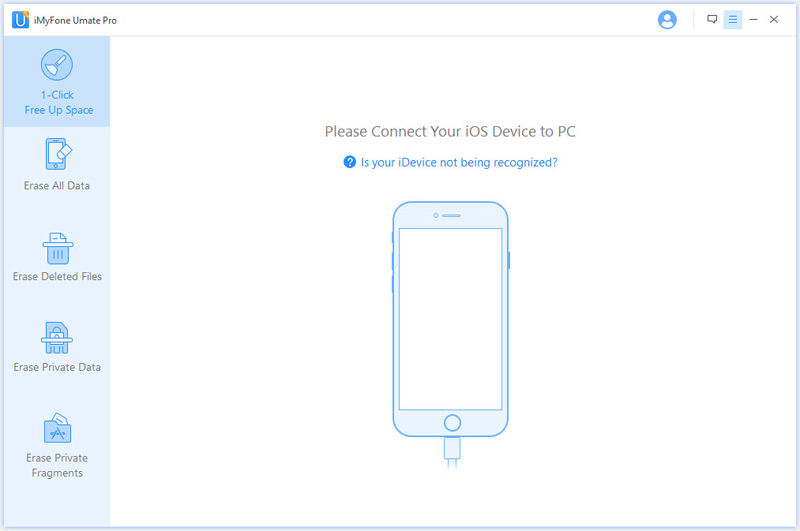 iMyFone deletes iPhone contacts from iCloud permanently with Zero opportunity to recovery. It gives options to preview files before erasing, to avoid deleting other important data. 1-click cleanup make sure that you always have enough storage on your iDevice by deleting all junk/temporary files, app caches, compressing photos, mass removing unwanted photos/videos/apps. If you want to clear up or delete music on your iPhone, please try this iPhone music transfer, which can freely transfer iPhone music between iPhone and iTunes/PC, as well as delete and export iPhone music. First, make a copy of your contacts on iCloud. Click on the Card menu. Select Card and look for Duplicates. When prompted, click on Merge. Now, go over steps 2 and 3 again until no duplicates are found. All the above steps will help you to delete your contacts from iCloud including duplicate contacts. However, these methods will not permanently delete those contacts, which is just what you need. Therefore, it is imperative that you go for a system that can delete those unwanted contacts from your iCloud and iMyFone Umate Pro is your best help in this regard.